This paper will examine the development of United States (U.S.), Chinese and Russian presence in Central Asia since the 1990s and the Central Asian states’ response to their actions. Also, it will discuss whether the Central Asian states joined the The Shanghai Cooperation Organization (SCO) merely to appease their powerful neighbors China and Russia or whether these small states have had an impact on the SCO, its agenda and direction. ISNAD Azarkan, Ezeli . "The Relations between Central Asian States and United States, China and Russian within the Framework of the Shanghai Cooperation Organization". 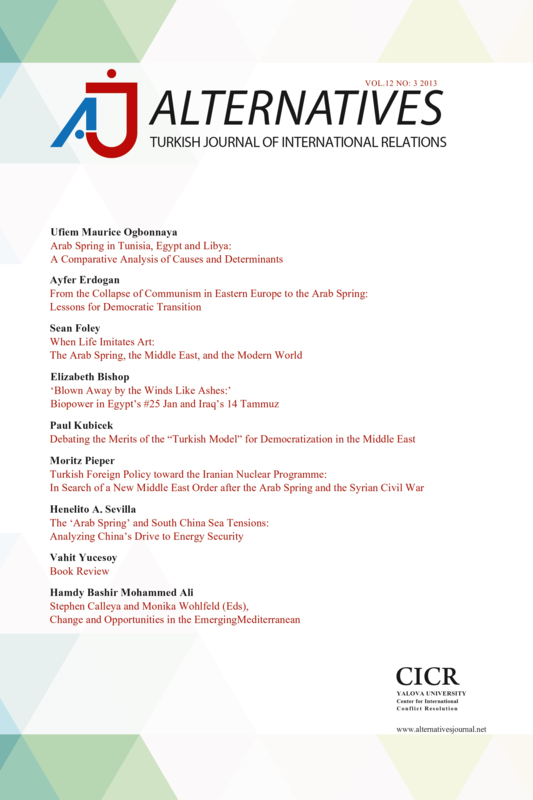 Alternatives: Turkish Journal of International Relations 8 / 3 (October 2009): 1-21.